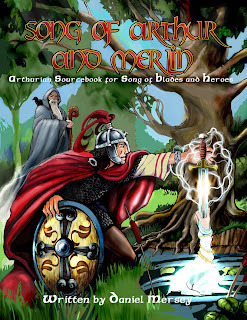 On Dec. 23rd, Song of Arthur and Merlin, the Arthurian sourcebook for Song of Blades and Heroes, will be available from our blog www.ganeshagames.blogspot.com as a $8 pdf. It will also be available soon as a download from many online pdf retailers -- watch this space-- and as a printed book (37 black and white pages with color covers). PULL THE SWORD FROM THE STONE AND BECOME KING OF THE BRITONS! * Three versions of the Arthurian story: Hollywood’s knights in shining armor, the gritty hero of Welsh legend, and a historical world stripped of all magic and monsters. 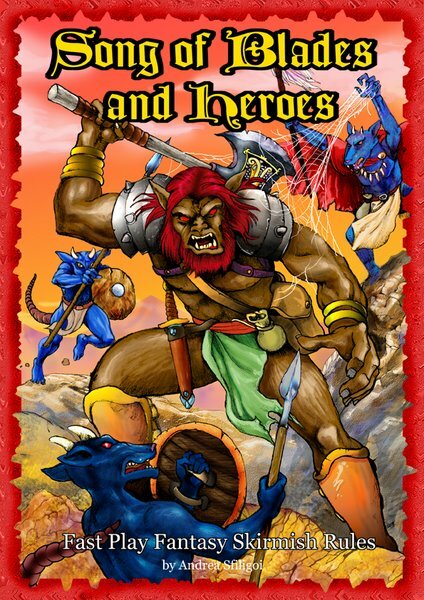 * 6 special scenarios and campaigns for Arthurian games and 11 new scenarios for all Song of Blades and Heroes games. * 100 new rosters including famous knights of legend, magicians and creatures from British folklore, and the historical Britons and their Saxon, Pictish, and Irish enemies. * 38 new special items from Arthurian legend. * 19 Arthurian warband advances. * New special rules and optional rules for playing games with larger warbands.